Toronto-based Cronos Group Inc. said it has secured a large supply deal with a major U.S. marijuana oil manufacturer, in yet another sign of the maturing cannabis space just months ahead of the legalization of recreational use in Canada. Cronos (CRON.TO) will provide the Canadian subsidiary of Cura Cannabis Solutions, a Portland, Ore.-based company that makes marijuana oil for vape cartridges, with 20,000 kilograms per year of cannabis for a five-year period, said Cronos Chairman and CEO Mike Gorenstein in an interview with BNN Bloomberg. Terms of the agreement were not disclosed, but Gorenstein said the deal is believed to be one of the biggest cannabis supply deals between a producer and a manufacturer. Extracting cannabis oil from marijuana plants for vaping, capsules or edible products typically yields much higher margins than traditional forms such as flower, according to a recent industry report by CIBC. In 2016, 100.8 kilograms of cannabis oil were shipped overseas from Canada, jumping to 400.4 kilograms in 2017, according to Health Canada statistics. The deal will also see Cura build an extraction facility in land owned by Cronus in B.C.’s Okanagan Valley that will produce one million grams of oil per month. Cura recently raised US$45 million, valuing the firm at about US$400 million. Cura also generated US$40 million in revenue last year and expects to make US$120 million this year, Cura general counsel David Thompson said in an interview with BNN Bloomberg. Thompson declined to comment on whether the company plans to follow other major U.S. cannabis players and seek an initial public offering in Canada. “That’s something that a lot of other companies are doing and we have nothing to say about that right now,” Thompson said. Cronos, which became the first marijuana company to list on a major U.S. exchange after it began trading on the Nasdaq in February, also announced in March a partnership with upscale U.S. cannabis retailer MedMen Enterprises to open stores across Canada. Cronos plans to open MedMen stores later this year in Alberta and is awaiting guidelines on how Ontario plans to manage private cannabis retailers before opening stores in this province, Gorenstein said. “It's going to be very important as the industry develops that you can deliver something different to consumers,” Gorenstein said. 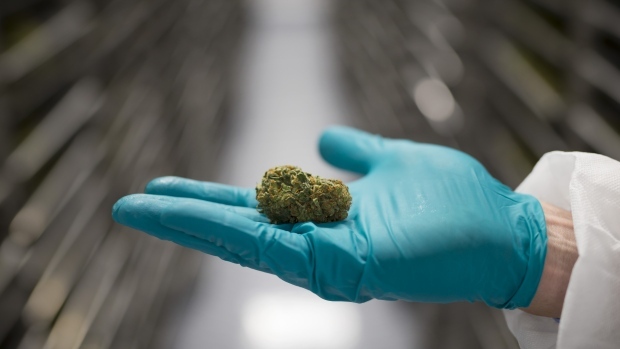 While the Cronos-Cura deal is significant in scope, both Gorenstein and Thompson said they expect these kinds of supply deals between producers and other players in the cannabis space to become commonplace over the coming months.